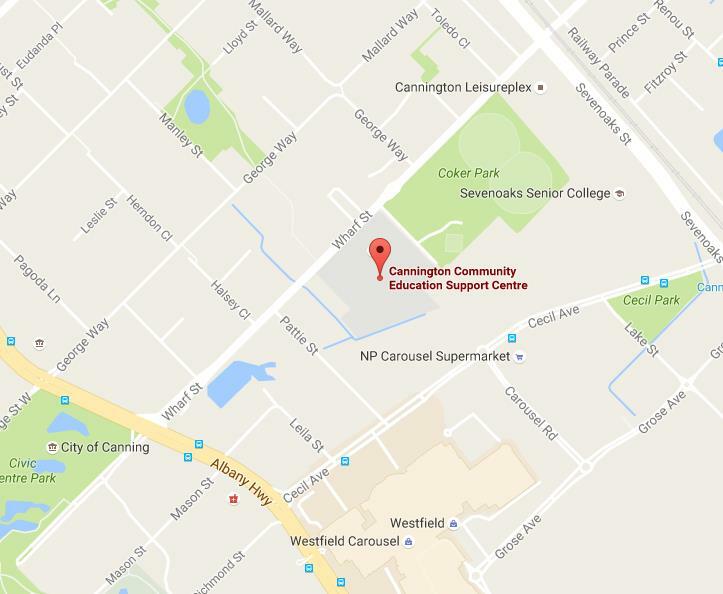 Train – Cannington Community Education Support Centre (ESC) is a 1.2km walk from Cannington Train Station on the Armadale/Thornlie Line. Bus – Buses run along Albany Highway every 10 minutes. Get off at the bus stop before Fletcher Street and walk 600 metres, which takes about 7 minutes. Plan your journey to Cannington ESC using Transperth’s Journey Planner.